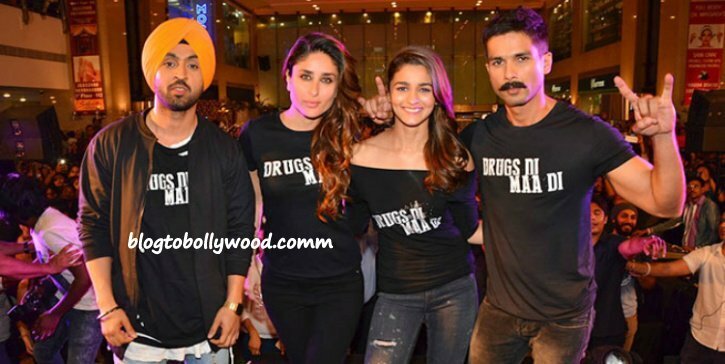 Udta Punjab Budget, Screen Count, Economics And Box Office Analysis – Have a look at budget, Box Office and other details of Udta Punjab. Co-produced by Phantom and Balaji Motion Pictures, the total production cost of the movie including the salaries of the star cast is around 35 crores. With around 10 crores spent on promotion, advertising and publicity, the total budget of the movie is pushed to 45 crores. Amidst the controversy surrounding its censorship, Udta Punjab will finally release on its scheduled date i.e. 17 June 2016. The movie has gained a lot of free publicity with the controversy and is expected to release on around 2000 screens in India. In overseas, the movie is expected to hit around 350 screens. Initially, the movie was awarded ‘A’ certificate with as many as 93 cuts in the original version. After Bombay HC’s order, the movie has been passed with only one cut. The total run time of the movie is around 2.5 hrs. The controversy surrounding its certification has really helped the movie to gain free publicity. Moviegoers are quite excited to see what the film has to offer. As per my prediction, Udta Punjab will open big with the first day collection to be around 9 crores.